The Straits of Hormuz are considered an important strategic asset; 20% of the world's production of oil passes through it on oil tankers bound for the West, and Iran has threatened to close the Straits if its nuclear facilities are attacked. Iranian television said that the exercises would continue for a month. 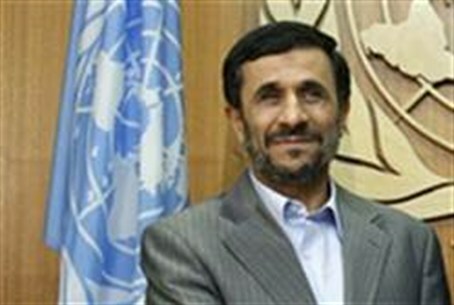 The report added that Iran had no plans to interfere with sea traffic through the Straits. Iran's Oil Minister Rostam Qassemi said that Tehran would “strike back” against European countries that were planning a boycott of Iranian oil, by cutting off the oild supply to Europe immediately. Iran would not be hurt by cutting off sales to Europe, Qassemi said. “We've made the necessary planning to deal with that. We have friends in the world and will assist each other. We won't back down a single step under political pressures and won't give up our right position even if we can't sell a single barrel of oil." In addition to the exercises, Iranian officials said Saturday that they had developed a new short-range missile designed to shoot down missiles fired at Iran from warships. The Zafar is a short-range anti-vessel radar-guided cruise missile, which can target small and medium-sized targets with high precision, officials said. The missile “loses altitude after being launched, and then cruises at low altitude in order to be hidden from sight of the enemy, and in the final stage identifies the target at a low altitude and destroys the target,” the official added.